My projects in your house! 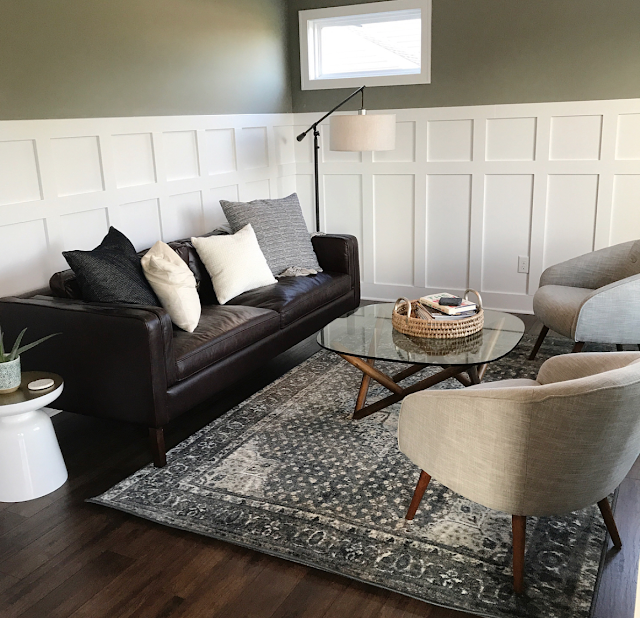 This weekend I wanted to show off a few of the lovely folks who tackled projects in their own home (and did them beautifully!). You can find Melissa's Instagram here at MK_athome. 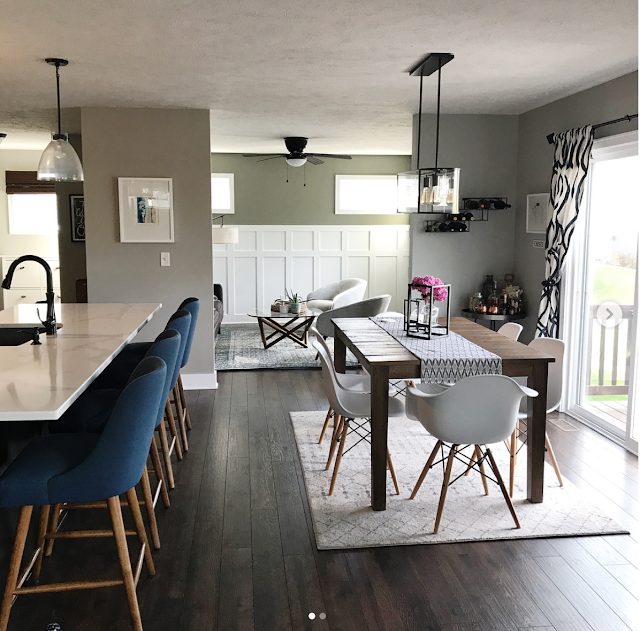 Love them in gray and mixed with the wood tones! I love the library lights, they did so good. Perfect! The great thing about these bookcases is they offer so much storage as well. It's just a great combo. Hope you enjoyed these! I love when you do what I do. ;) If you have photos you'd like me to share please send me an email (click on the "contact" tab at the top of my page). I always appreciate that you take the time to send me what you've done in your home! 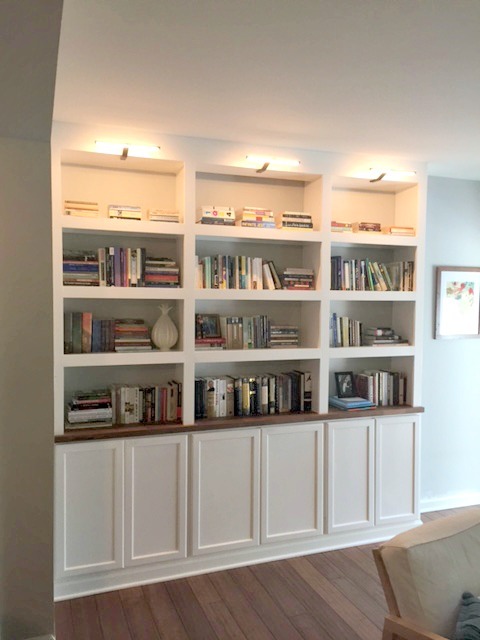 Check out some of the other reader projects I've shared in this post and this one as well. These are amazing! I wish I had a home big enough (and half as much talent as you) to try out of your projects at my home. Perhaps in the future! I'd copy any and all those projects - just never seem to have it together to do it. 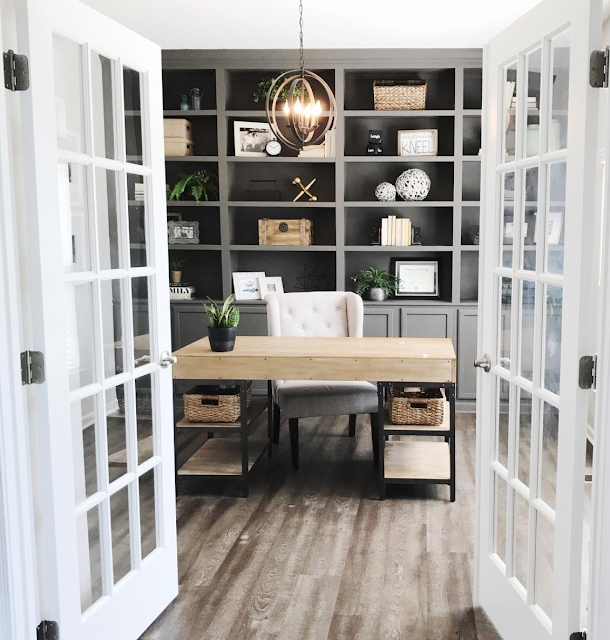 I'd love to do the board and batten AND the book shelves in my home office. This room needs help!!!! And I spend most of my waking hours in here. Ugh. Maybe that's why I don't fix it up anymore - just painting it was so disruptive, haha.